Design presentation Solar Team Twente’s new solar car: RED E! 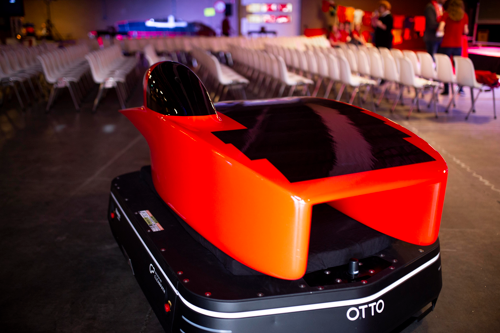 Home > News > Design presentation Solar Team Twente’s new solar car: RED E! In a hangar at Twente Airport, Solar Team Twente unveiled their new (winning) solar car ‘RED E’ for their partners and sponsors on March 20th. 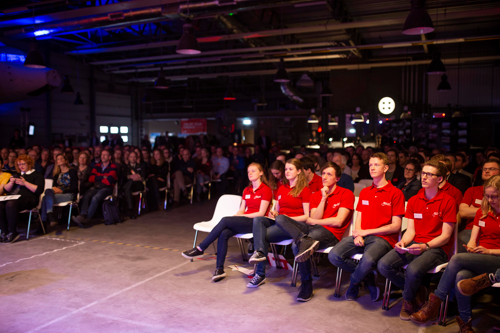 As one of their proud partners, IMS attended the design presentation of Solar Team Twente’s new solar car! RED E and Solar Team Twente will appear at the start of the Bridgestone World Solar Challenge in October 2019 (Australia). We’re proud to see the results so far after months of dedication. Their new solar car ‘RED E’ will be the smallest in the history of the team. The team aims to improve their electronic and mechanical parts for the car every two years. For this year’s race the team has decided to use a smaller and more efficient solar panel, thus making the solar car smaller than previous years. With this adjustment, the solar car will be aerodynamically improved! On the other hand, the team will be facing various design challenges for the inside of the car. We are convinced that with their passion and commitment to win the race in October, the team will overcome these challenges! IMS & Solar Team Twente: BIG Partnership 2019! This year we are supporting the team with a larger sponsorship than before. We’re proud to be BIG Partner of the team. The IMS engineers provide the team with technical advice, coaching and support, with a lot of enthusiasm. With our continued support we want to help the team achieve the ultimate goal: winning the Bridgestone World Solar Challenge 2019! The valuable collaboration between IMS and Solar Team Twente began in 2013. Two years ago, IMS has supported the team with the development and production of the charging configuration and steering system of the solar car. Years of collaboration shows that the teamwork between students and experienced IMS engineers is a good match. Our BIG partnership with Solar Team Twente also offers us the opportunity to be visible for, and get in touch with, excellent students. On behalf of IMS, we wish the team good luck at the Bridgestone World Solar Challenge in October! Would you like to follow them on the road to success, or are you interested to learn more about their new solar car RED E? Keep an eye on Solar Team Twente!